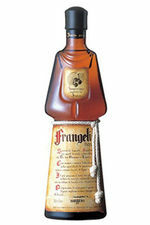 Frangelico (frangelica) flavored coffee is made with the closest flavorings to the actual hazelnut liquor flavor. Frangelica or Frangelico is made in the same manner as most nut liqueurs: nuts are crumbled up and then left to soak in the base spirit. After the spirit has absorbed the flavor of the nuts, the liqueur is filtered, sweetened, and bottled. To make Frangelico (frangelica) flavored coffee we use fresh roasted coffee beans from Panama, Central America. Then we add the finest coffee flavorings, and then rest the beans to bring you the best possible taste.